Brent at Beanilla sent these samples a really long time ago, but because these kinds of products don’t fit within my normal vanilla evaluation procedure I took some extra time to consider them. This product uses tahitensis vanilla from Tahiti and Papua New Guinea. I usually make vanilla sugar by exposing sugar to fresh or post-extract beans, and then removing the pods before use. In contrast, this vanilla sugar appears to be made by adding ground pods to sugar. This gives the sugar a light and dry texture, whereas homemade vanilla sugar can be dense and sticky. It has a light, fruity Tahitian vanilla flavor that doesn’t overwhelm. In my experience, vanilla pulver becomes spongy and noticeable in baked goods such as cake, and can actually throw off the texture a bit. 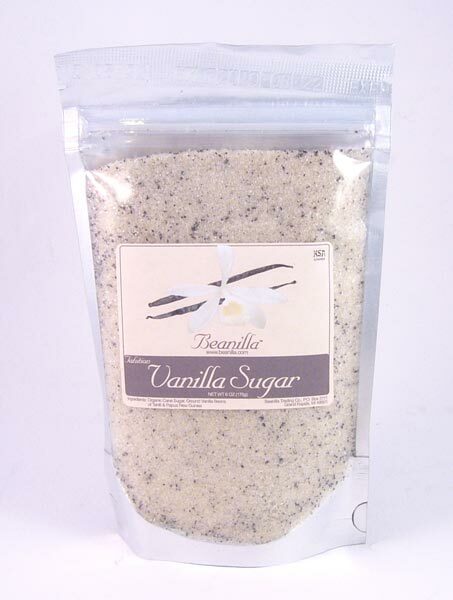 If you need instant vanilla sugar this may be good for you, but I recommend buying some of Beanilla’s excellent Tahitian vanilla beans and making your own. I really enjoy trying different salts. 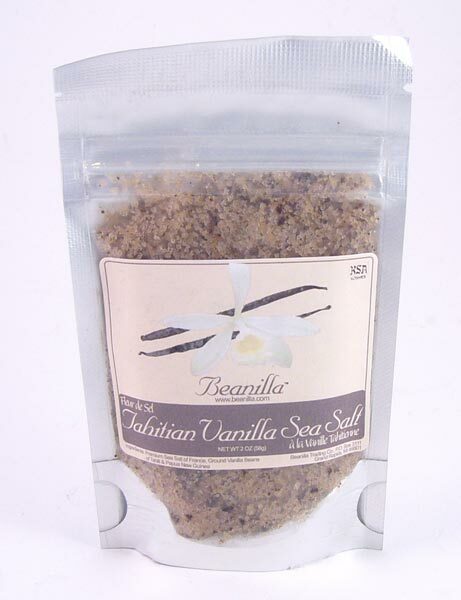 This is a French fleur de sel mixed with ground tahitensis vanilla from Tahiti and Papua New Guinea. The salt is very moist and has a gray-brown color. It smells strongly of vanilla and has a piquant, mineral quality. The taste of the salt itself is very clean and strong, without any lingering mineral flavor. The vanilla flavor is well-balanced and not overwhelming, but I find the fruitiness of Tahitian vanilla to be an odd pairing with such a strong salt. This is an interesting product because might not be something easily done at home. The delicate structure of sea salt might not hold up to the moisture and stickiness of post-extract beans. I’m not sure if you can simply extract the vanilla flavor into salt by leaving some beans in the bag, the way you can with sugar. 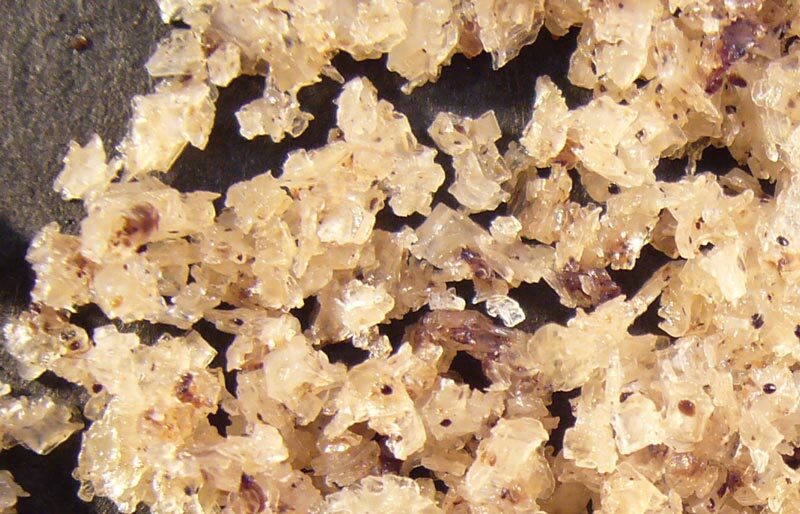 The salt is used by professional chocolate makers and pastry chefs. Because both salt and vanilla beans are often used to bring out the flavor of savory dishes, our tahitian vanilla Fleur De Sel can be used in a large variety of dishes. I have also used the salt on meats like pork tenderloin. 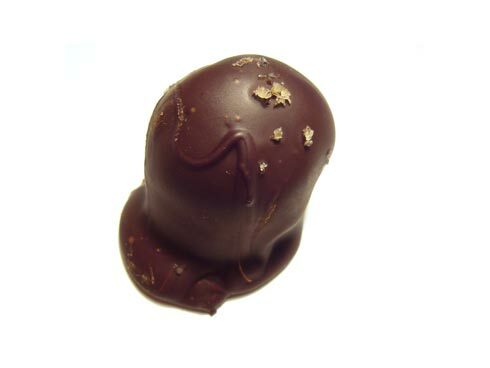 The best use I’ve found so far is in Rosemary Sea Salt truffles. The vanilla melds nicely with the chocolate, and the salt brings out the savory flavor of the rosemary. Lining cocktail or margarita glasses also sounds like a good idea.